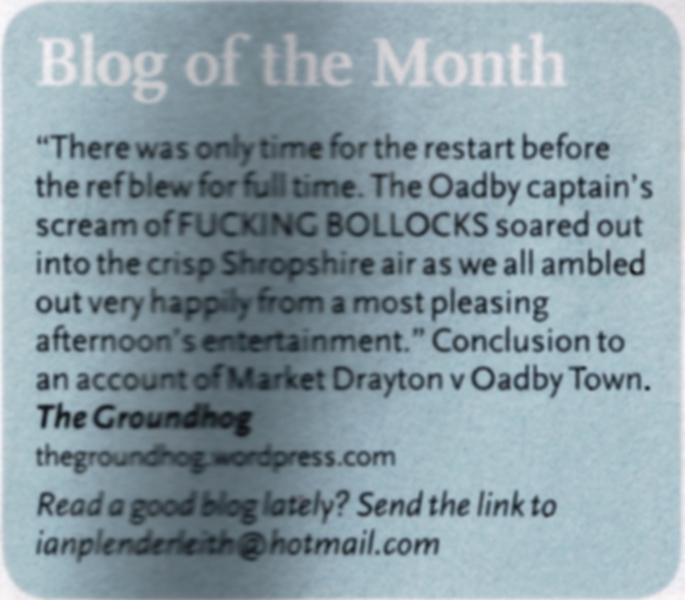 I’m fast running out of midweek grounds. There’s only five left above step six, less than 50 miles away. FC United’s Broadhurst Park became one of that number this season. Widening the net to 60 miles opens up another 21 grounds for me, 15 of which are East. 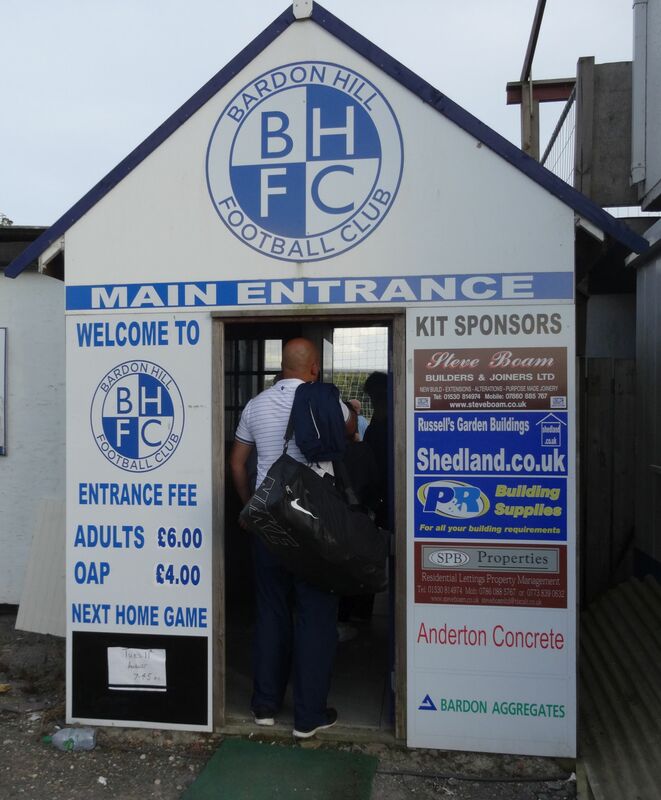 Bardon Hill were one of that number, along with a glut of other East Midlands and Midland League clubs. Luckily they all lie along the A50, which given the state of the M6 these days is a good thing, and a hell of a lot quicker. (Most people from the Midlands have set their land speed records on this road). 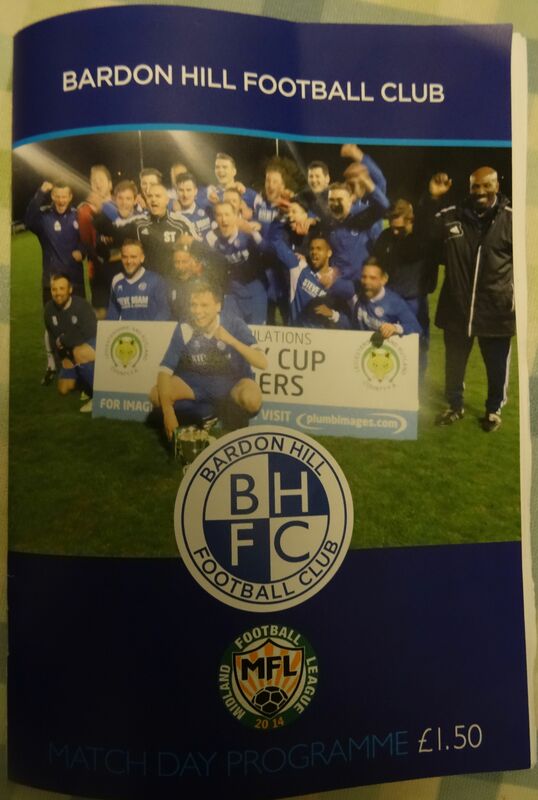 Bardon Hill won the East Midland league last season and were promoted to the Midland League Premier Division. They have only been at step six of non league since joining the East Midland League in 2007-08 from the Leicestershire Senior League. The club go all the way back to 1890 though. Despite being a small community in Coalville they have a rich history of football. I met Dave in the Wetherspoons in Coalville beforehand. It was the worst Wetherspoons I’ve been in, with no guest beers, just the six supermarket stalwarts of the chain – Greene King IPA, Hobgoblin, Doom Bar, Bombardier, Pedigree and Landlord. A real ale lover’s nightmare. When you’re looking at the fridge in Wetherspoons for a can of beer it’s a bad sign. Dave, by the way, is a regular companion nowadays at my grounds. An ex Stoke City season ticket holder, he is getting more and more into the non league game and is currently circling the black hole known as groundhopping. He is near the event horizon, a barrier that once crossed will find him alone in Deliverance country on a Tuesday night in December, wondering what he’s doing watching West Midland League action instead of going home for his tea. The Bardon Hill Sports Centre is better than I was expecting. It has a long stand down one side, similar to Bridgnorth’s. Bits of terracing fill either side. 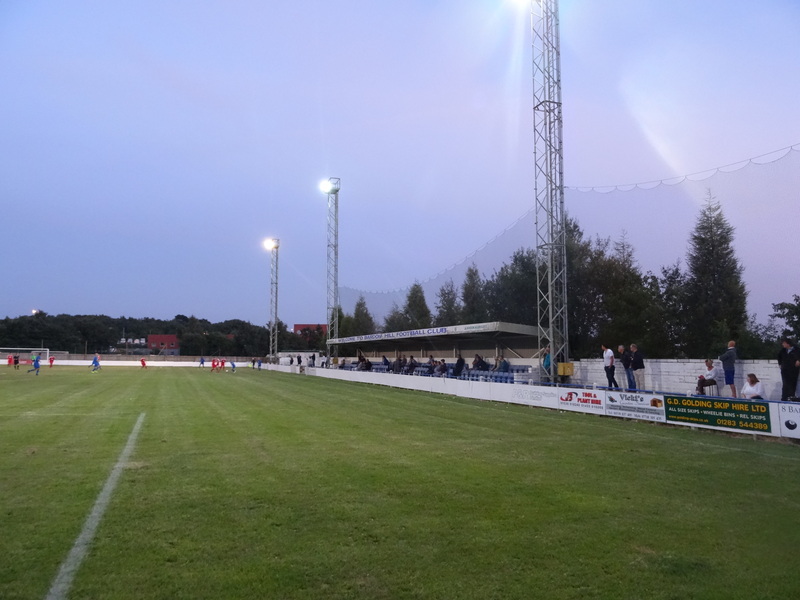 Behind the goal where you come in a kind of executive box stands upright with a few school chairs laid out outside, affording an aerial view of the action.The best feature of the ground is the six old-school rusty floodlights, that elegantly frame the pitch. It has that olde worlde non-league feel to it. 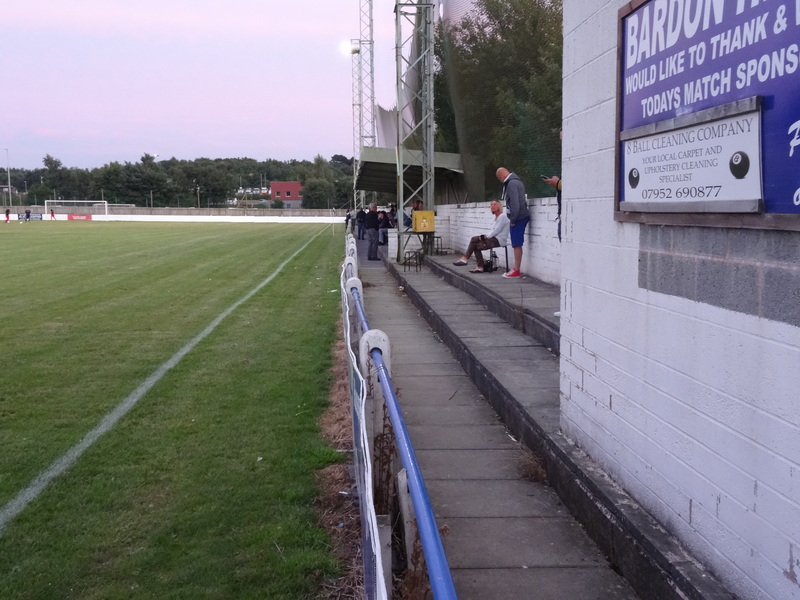 This was Bardon’s first home game of the season, having drawn their first game 2-2. Visitors Coleshill had lost their first game 5-2. The game was played in a great spirit, open and with both teams going for it. Bardon struck first after just seven minutes when Tozer braveley got on the end of a deep cross with his head. 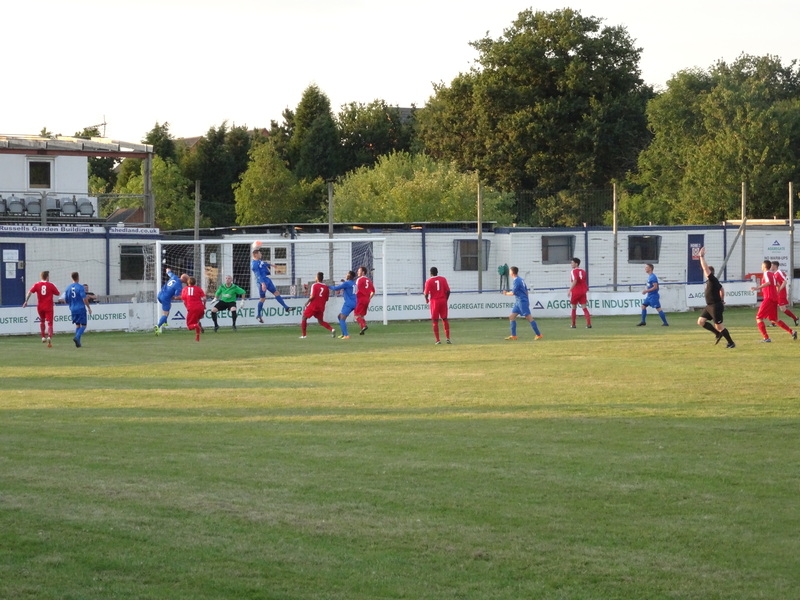 Rather than drop their heads Coleshill responded on 25 with Barlone slotting home a piercing through ball. Four minutes later they took their lead when Johnson tackled the keeper, who was having a mare generally and tapped it into an empty net. Almost the last kick of the half Fray collected the ball on the edge of the area and struck it sweetly in the far top corner – exquisite strike. 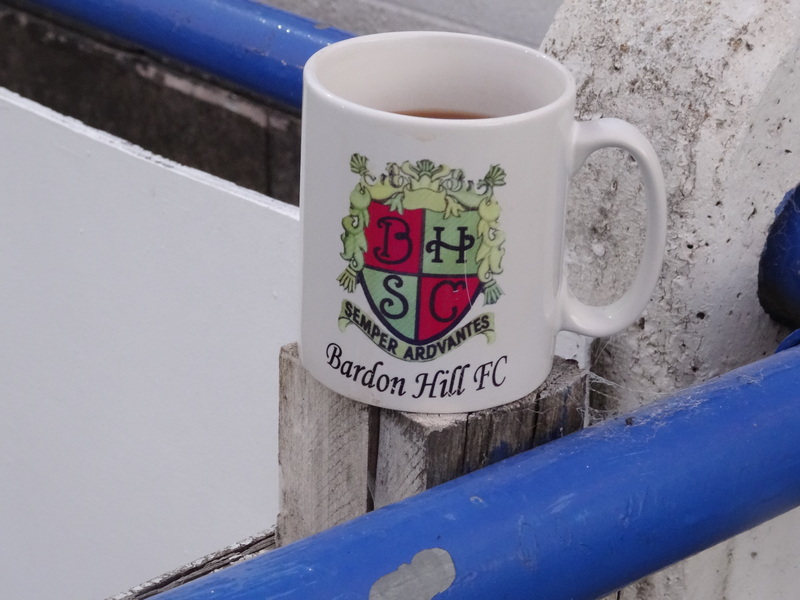 At half time my great value 70p coffee was served in a Bardon Hill mug – as far as I know that’s the first time that’s happened – getting a drink the the official club mug. The second half was just as open but the goals dried up. 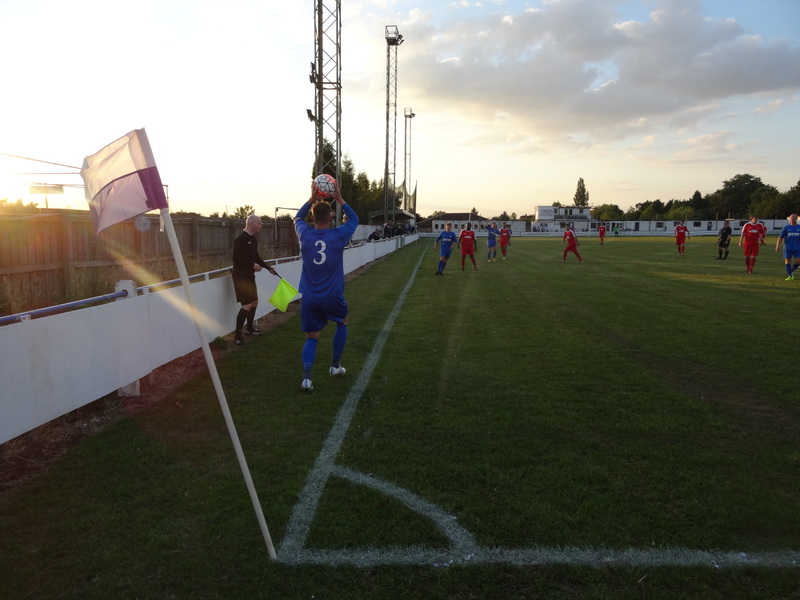 Coleshill looked the more likely and did have the ball in the net once, but it was ruled out for offside. Good evening’s entertainment and a good advert for the league. I love evening games at this time of year when it’s still light when the game starts, get them in while you can. This entry was posted in Travelog and tagged Bardon Hill, Bardon Hill FC, Coleshill Town FC, Non-League, west midlands regional league. Bookmark the permalink.